Wilson Camera provides two locations to serve our customers and we have a full line of retail cameras and accessories. 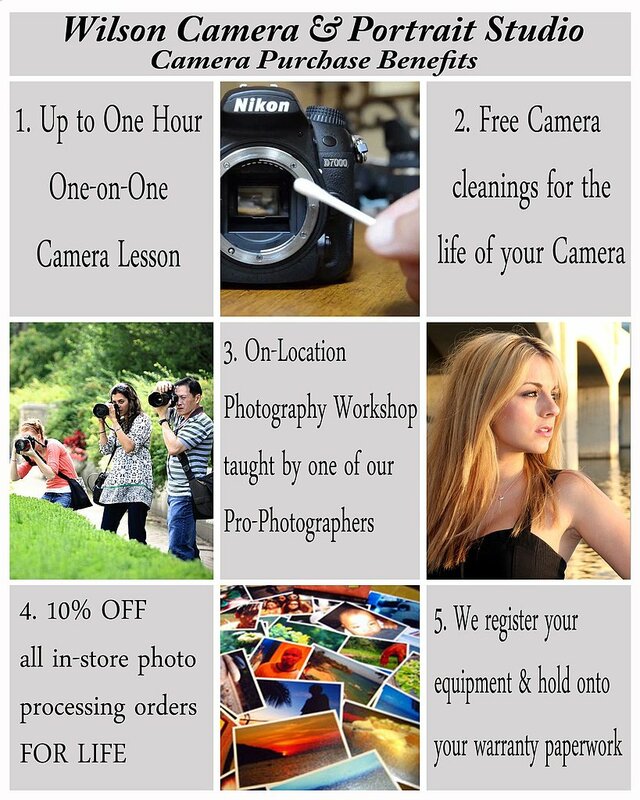 you' ve purchased your camera at Wilson Camera. Wilson Camera boasts a portrait studio in each location and we also offer on location photography services. Any and all types of photography is offered by our professional staff of photographers. We have over 40 years of experienced personnel. 2) The size, surface ( glossy or matte ) and quantity of each image that you've attached. 3) The Wilson Camera location that you would like to pick up your order at Scottsdale or Phoenix.